ANY TALK about down sleeping bags in Canada inevitably turns to MEC®, Western Mountaineering®, and Taiga®. the folks at MEC® (a chain of outdoor mega-stores) must sell a LOT of bags… including their own China imports, plus the high-priced, U.S.-made Western Mountaineering® brand. 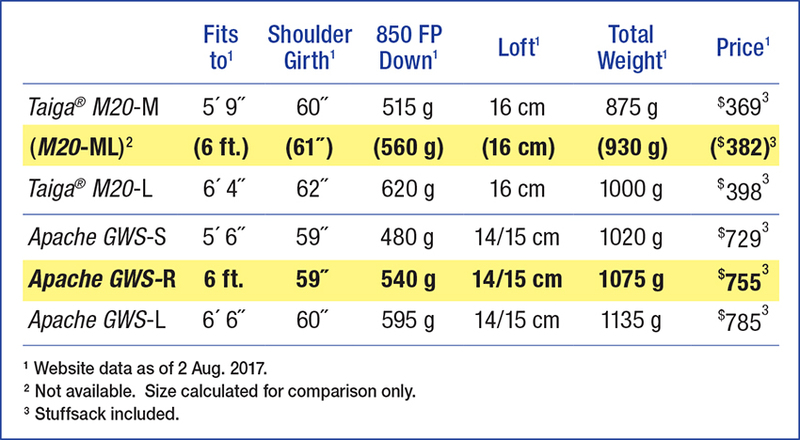 So, how do Taiga® sleeping bags stack up? The M20 has a highly advanced design, relatively more downfill, a higher loft, and a lower weight. 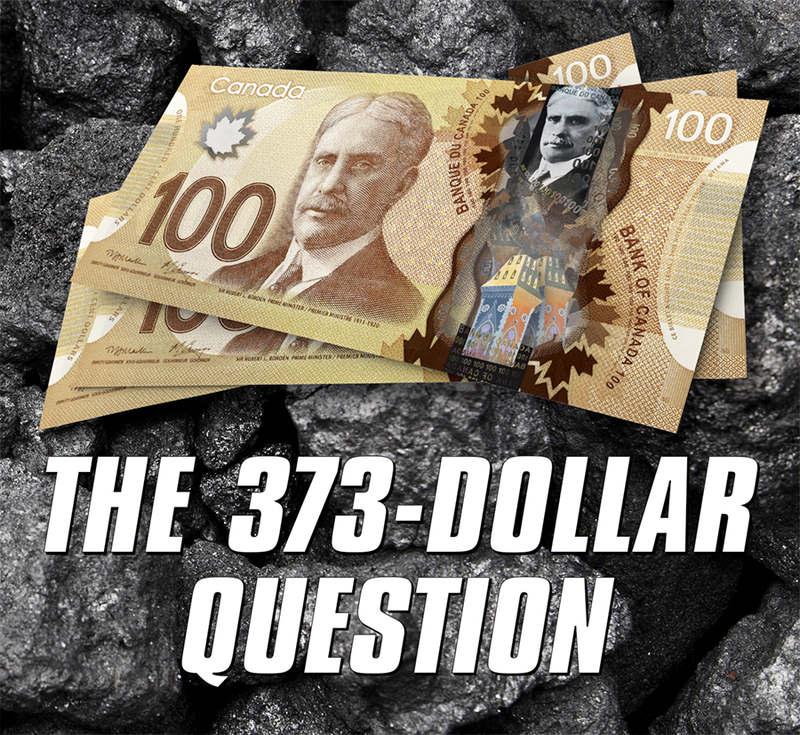 It’s made in Canada, and our Manufacturer-Direct pricing is a pleasant relief from MEC®’s distressingly high prices. To facilitate comparison with the Apache GWS, (Reg.- 6 ft.), we calculated the data for a theoretical Taiga® “ML” (fits to 6 ft). This size is shown in brackets. As you can see, the price difference between the two brands is truly astounding. The Apache GWS costs a jaw-dropping $373 more than a similar size (6 ft.) Taiga® M20. That’s almost double the price of the M20. Apache GWS and Taiga® M20 have waterproof/breathable outer fabrics: Gore® Windstopper® on the Apache, DryShell® on the M20. In our tests, DryShell® was slightly more breathable than the Gore® Windstopper® we previously used. Both groups of sleeping bags are made with 850+ fillpower goosedown. However, the Taiga® M20 bags contain more down, which helps (together with a lighter, more pliable shell) to bring their loft to 16 cm (6-6.5 inches)… higher than the Apache. With its thermo-efficient design and extra downfill, we judge the Taiga® M20 to be warmer than the Apache GWS. However, we rate our bag to -5°C, while the Apache GWS is rated to -9°C. There’s no reliable way of rating the warmth of a sleeping bag since there are just too many variables – most importantly, the vast differences in individual body warmth & metabolism, and possible down shift (see “Sideblock Baffle” below). Sure, we could claim -10°C instead of -5°C. But we prefer to be conservative in this. We’d rather understate, than try to impress with highly optimistic estimates. We consider Sideblock Baffles to be absolutely essential for high-performance down bags. So-called “continuous baffle” construction (no sideblock baffle) is sometimes touted as advantageous for shifting the downfill on purpose, but it also makes the bag prone to unintended down shift and cold spots. In addition, manually redistributing the down in a mummy bag is tedious and counterproductive: down moved to the top can result in cold spots at the bottom – noticeable as soon as the sleeper turns sideways. Sideblock baffles are very labour-intensive & expensive. That’s the reason some manufacturers avoid them like the plague. 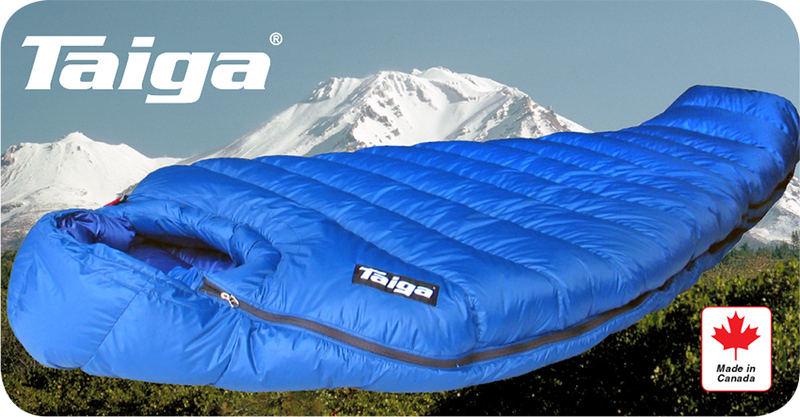 Taiga® uses sideblock baffles in most mummy-style sleeping bags. “Continuous baffle” construction (without sideblock) is used in our simpler & less expensive ‘Barrel’ styles. Most collars, like that on the Apache GWS, fasten around your neck with a drawstring across the throat. A separate drawstring closes the head opening & hood, with the string usually ending up across your face. On the Taiga® M20, an integral, downfilled Face Draft-Tube with drawstring seals the head opening. The single tube-&-string system is easy to operate, and its down cushioning makes it ultra-comfortable. Many sleeping bags have locking zippers – which is fine, as long as you don’t have to get out in a hurry. But in a panic situation, when you want to grab a flashlight, or just get out and run, there’s no time to search for the zipper and fumble with the slider. Yet in normal conditions you have a secure closure with no unwanted opening. When the zipper is shut, a hook/loop fastener automatically keeps it in position. Mountain Equipment Co-op® (MEC®) is supposed to serve its roughly 5 million members to the best of its ability, and not just focus on how to constantly increase sales… and drive smaller competitors out of business, as a consequence. “We, the folks at MEC® have been very successful in mass-merchandising, multi-million-dollar marketing and monopolizing the outdoor industry (completely unintentionally, of course), but appear to be somewhat challenged when it comes to providing top-quality down bags at reasonably low prices. So, you think MEC® could simply carry our bags in their stores? Seems easy – but after adding the high MEC® mark-up (never mind their supposed “Non-Profit” status), prices may not differ much from those of Western Mountaineering® bags… And they sure wouldn’t like us to keep selling the very same bags at our current low prices. 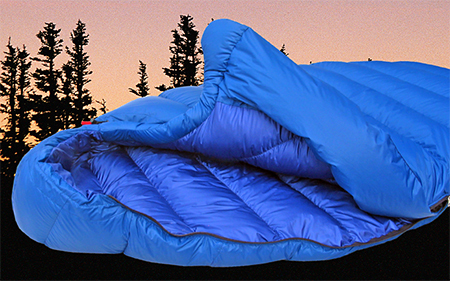 See all TAIGA® Sleeping Bags here. See TAIGA® Home Page for all products.